Cedarwood 100% pure essential oil enhances this blend because it helps to stabilize energy imbalances, is calming, and helps to ease anxiety nervous tension, and stress-related conditions. 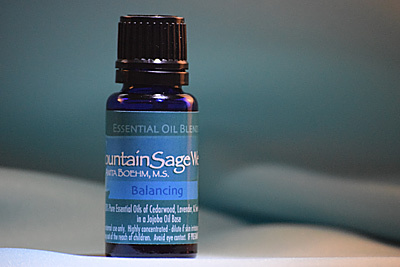 GREAT BALANCER© was created by the late Gerri Korri; a dear soul sister to me. This work of art is a healing tool for healing of self and humanity. It is another Sacred Geometric shape that has come to our planet to help us to connect with the 6th Dimension. Our world at this time is perceived in a 3 dimensional way, but we are fast moving into a Multidimensional existence. Healing symbols help us to move to a new existence of being, both individually and as a collective, to create and achieve peace. We are shifting at a fast pace and GREAT BALANCER© is on the planet now to help us find our balance during all this change and to keep us get as close to center and centered as possible so we can move forward with ease. As our bodies shift at a fast pace we will find that to keep our bodies balanced we will look to other forms of healing to achieve that balance and health. We will find that light, color, sound, vibration, aroma and geometric shapes will help us to shift our energy in and around us to help us to let go of ailments, old patterns and beliefs and to move into a place of PEACE and JOY. So Be It!